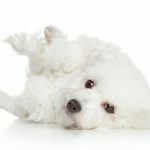 You are here: Home / Aging Dogs: How to Help Your Bichon Through her Golden Years / What is the Dog Age in Human Years? What is the Dog Age in Human Years? What is the dog age in human years? Most of us wonder about the age of our dogs from time to time, because it gives us clues to the life expectancy of our dogs. A general rule to follow is that the larger your dog, the lower her life expectancy. 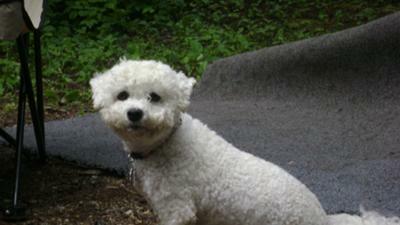 Fortunately Bichon Frises are small dogs, so they live a lot longer than a large dog. In fact, almost 40% of small dog breeds live to be older than 10 years, while only 13% of the giant breeds like Great Danes live to be 10 years old. Most don’t even make it to 8 years old. Of course we would do anything to help our beloved dogs live longer. But in recent years, half of all dogs who live to be seniors die of cancer. I’m sure you’ve heard it. People used to say that you could calculate a dog’s age by multiplying their actual age by seven. That would give you their dog age vs people age. Doing this gave people an idea of how long their dogs would live. But advances in medical care have helped extend the lives of our dogs. So there is now a more sophisticated way to determine the age of your dog. Here’s how to calculate your dog’s age and life expectancy. The chart below uses your dog’s actual age and the estimated human age. But this is just an average, based on a medium sized dog that weighs 20-50 pounds. You’ll have to do a little math for your dog’s age. For small dogs (under 20 lb.) subtract 5 years from each of the human age ages. If your dog is large (50-120 lb. ), add 10 years to each of the human years. And if your dog is a giant breed (over 120 lb. ), add 20 years to each of the human years. This will give you an approximate age for your dog. So you did the calculation above and your dog ended up being pretty old in people years. That doesn’t mean you have to put him out to pasture and treat him like an invalid! 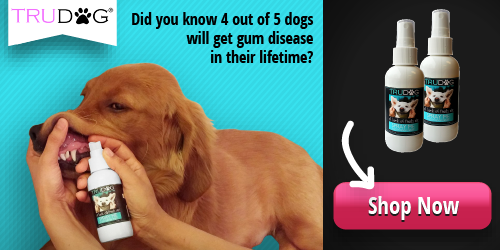 There are things that you can do to help keep your dog more youthful and healthy. Even if he has signs of getting older like deafness, blindness or stiffness, he will still enjoy many of his favorite activities. Do continue to take your dog on walks. Even though he may be a bit slower, run out of breath sooner and a bit stiff from arthritis, he will still love to go with you. Your dog will continue to enjoy the smells and familiar places. Recent studies have shown that dogs who had enriched diets and intellectual stimulation lived longer than dogs who did not. Diets were enriched with antioxidants like vitamins A and C.
Adding antioxidants to your dog’s diet is easy if you use dog treats. Two that I recommend are NutraZita Antioxidant Boost Soft Chews and Get Naked Super Antioxidant Dental Chew Sticks (which also help clean your dog’s teeth and gums). Keeping your dog active and making sure her diet is appropriate for her age will help you prolong her life and keep her healthier while you have time together. If this article helped you, where would you like to go next?